Can you believe the 2014 season is over? After 16 weeks of excitement and turmoil, we've got our champions. If you were one of the winners, congratulations on your success. If you were not a winner, good luck next year. Now, let's analyze the Linebackers of 2014, and rank how they did in weeks 14-16. 1) Jamie Collins and Perry Riley led the way, consistently producing top 15 scores. 2) Clay Matthews and Craig Robertson were boom or bust, each ranking first in one of the weeks, but ranking 25th in another week during their respective playoff runs. 3) DeAndre Levy, D'Qwell Jackson, Justin Houston,Terrell Suggs and Khalil Mack never fell out of the top 20. 4) Gerald Hodges and Devon Kennard stepped up as starters, and nice waiver wire pickups late last year. 5) Bobby Wagner, James Laurinaitis, and C.J. Mosley had less than impressive playoffs. A) The linebacker position was destroyed by injuries in 2014, including stars like Navorro Bowman, Vontaze Burfict, Paul Posluszny, Kiko Alonso, Robert Mathis, DeMeco Ryans, Danny Trevathan, Derrick Johnson, Stephen Tulloch, and Patrick Willis. 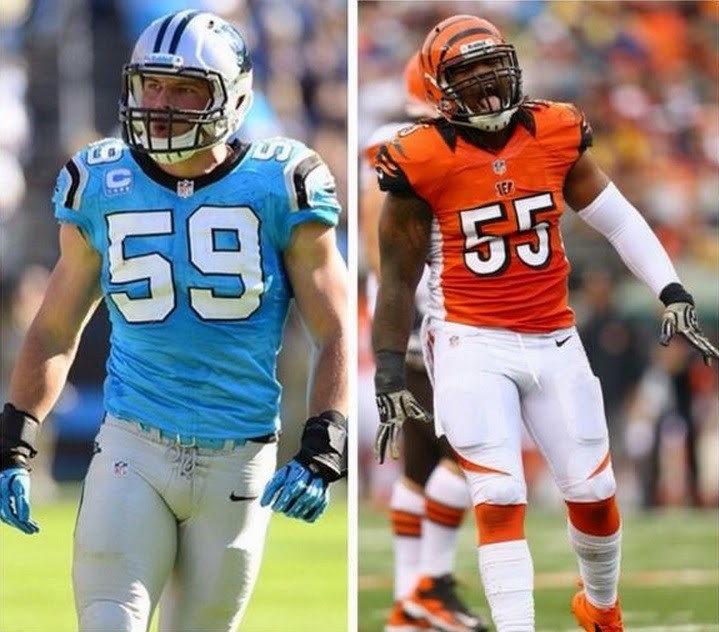 Once healthy, those players on IR will drastically change the LB ranks for 2015. B) Luke Kuechly, Lavonte David, Alec Ogletree, Paul Worrilow, C.J. Mosley, Kiko Alonso, Jamie Collins all look like solid long term dynasty linebackers. C) Craig Robertson, DeMario Davis, Jon Bostic, Keenan Robinson, and Brandon Marshall look like nice buys at this point. D) Rolando McClain, DeAndre Levy, and Lawrence Timmons could be decent sell high options.